The law is clear, yet consistently breached by the CIA, NSA, FBI and other US intelligence agencies, spying on American citizens and residents extrajudicially, the nation transformed into a Big Brother society. It’s longstanding practice, especially post-9/11, unacceptable yet ongoing, violating Fourth Amendment rights and other fundamental freedoms. The Court added that information revealed to another source “takes the risk (of being) conveyed” to someone else. In Smith v. Maryland (1979), the High Court extended the so-called third party doctrine to telephone communications. 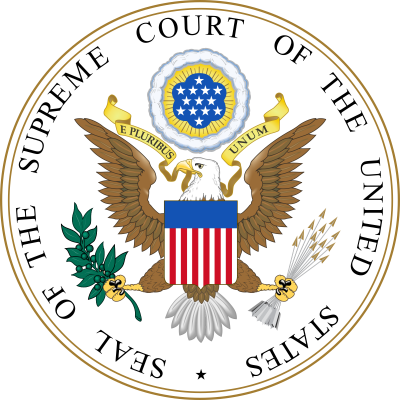 In United States v. US District Court (the so-called Keith case) (1972), a unanimous Supreme Court ruling upheld Fourth Amendment protections in cases involving domestic surveillance, targeting an alleged threat. Carpenter v. United States is the latest Fourth Amendment case before the Supreme Court, arguments heard on Wednesday. It involves the warrantless accessing of an individual’s cell phone records. In June, the High Court accepted Carpenter’s petition for writ of certiorari, agreeing to hear the case. Modern technology greatly facilitates telecommunications and digital spying. In Riley v. California (2014), the Supreme Court unanimously held that warrantless search and seizure of digital contents of a cell phone during an arrest is unconstitutional. In 2011, without a probable cause warrant, the federal government obtained months of cell phone location records for suspects in a Detroit criminal investigation, including Timothy Carpenter’s. They showed he made calls within a two-mile radius of four robberies. He was arrested, charged and convicted on multiple counts of aiding and abetting robbery, sentenced by Eastern Michigan US District Court Judge Sean Cox to over 116 years in federal prison. On appeal to the US Court of Appeals for the Sixth Circuit, a split three-judge panel upheld his conviction in April 2016. An amicus brief was filed on his behalf by the ACLU, the ACLU of Michigan, the Brennan Center, Center for Democracy & Technology, Electronic Frontier Foundation, National Association of Criminal Defense Lawyers, Cato Institute, Apple, Facebook, Google, Twitter and Verizon. The ACLU represents Carpenter in his Supreme Court appeal. It argued that the government violated his Fourth Amendment rights by obtaining location records from his wireless carrier without a warrant. High Court Justices will decide Carpenter’s fate when they rule. At a time when most Americans communicate digitally and/or by cell phones, America’s Supremes need to update what protections they deserve. No one should be abused, mistreated or punished for using today’s modern technologies. Yet it’s happening to countless numbers of Americans. Without our knowledge, consent, or just cause, we’re spied on by a government hostile to our rights and interests – reading our emails, monitoring our phone calls, accessing our financial and medical records, violating our constitutional rights.